Savor the flavor of minimalist-chic style. 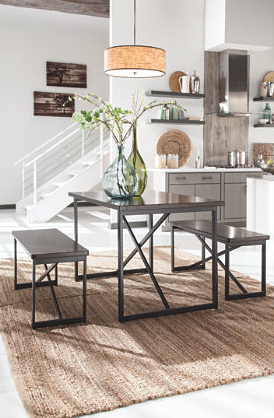 The Joring table set sets a high standard for lean, linear design loaded with urban flair. 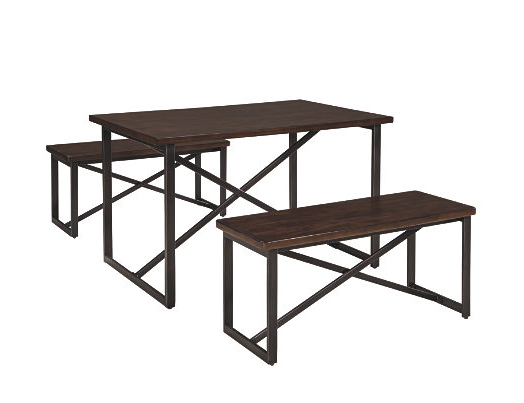 Table and dual benches’ cross-bar bases are crafted of metal in a dark bronze tone that pairs perfectly with rich, complex finish of seat and table tops.